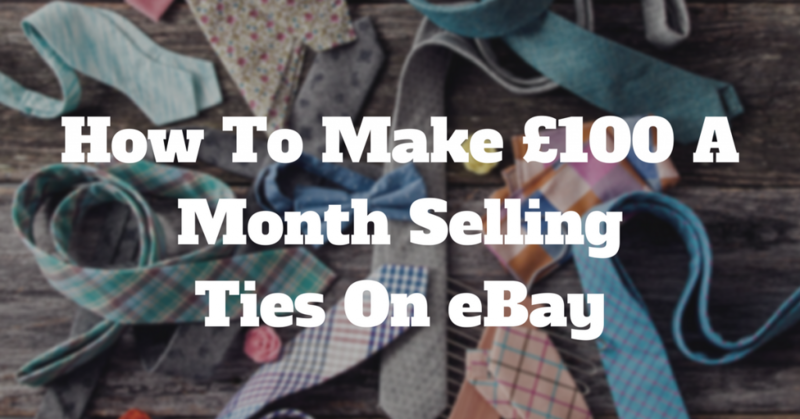 If you are not selling ties on eBay then I hope after reading this post you will start to! Ties are a very good way of making an easy £50 – £200 per month. Some sellers will do a lot more, others won’t. I average somewhere in the middle and I am not a big time tie expert or big time tie trader. 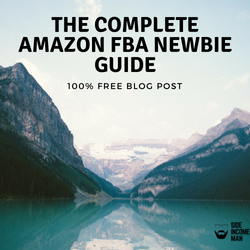 You may be thinking big deal, but if you are out and about and do a bit of reselling anyway then this is really a no brainer. Now not every tie is worth selling. In fact you could say that most are not at all worth reselling on eBay. In this post though I will show you how to find the good ones and the ones to keep your eye out for. 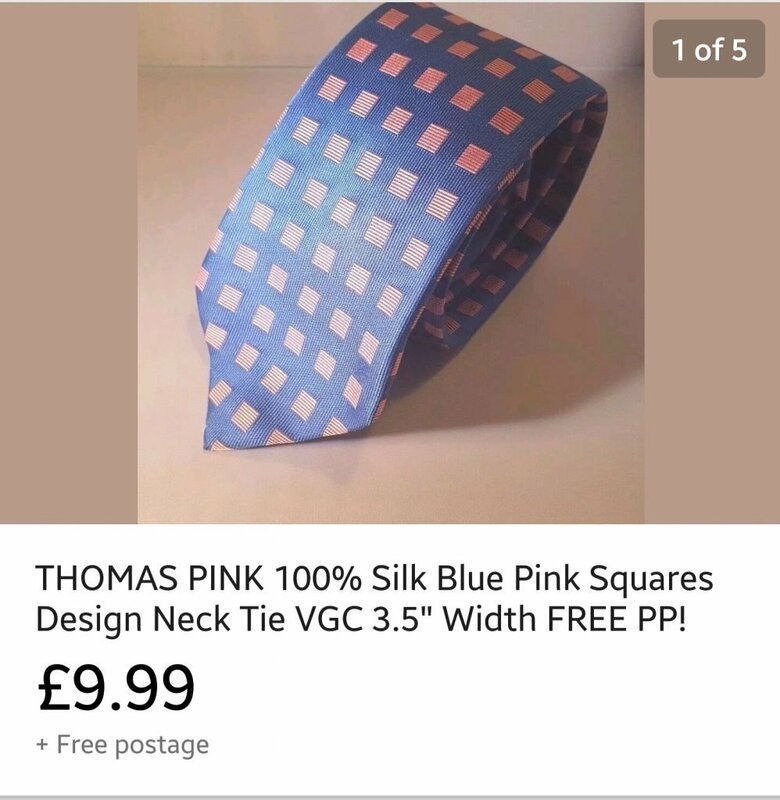 If you do a ‘Completed Listings Search’ on eBay for the ties that have sold you will see that there is a HUGE market for it. People are selling thousands and people are buying thousands. 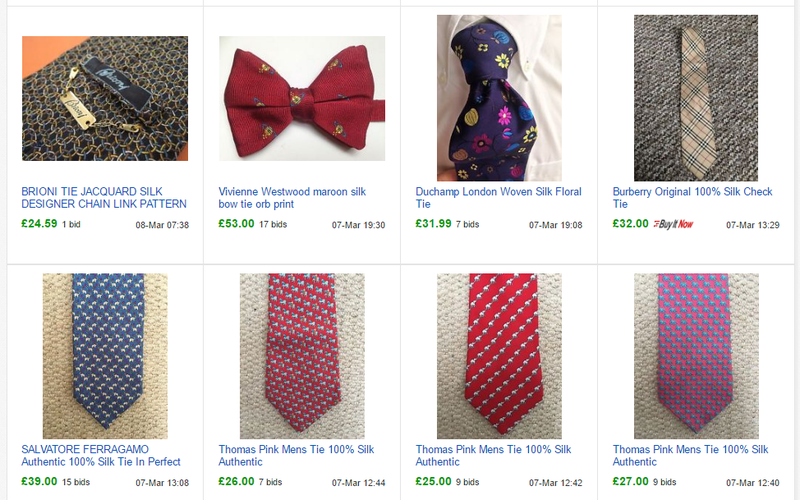 I narrowed the search to over £20 but lower than £100 – these are SOLD ties. 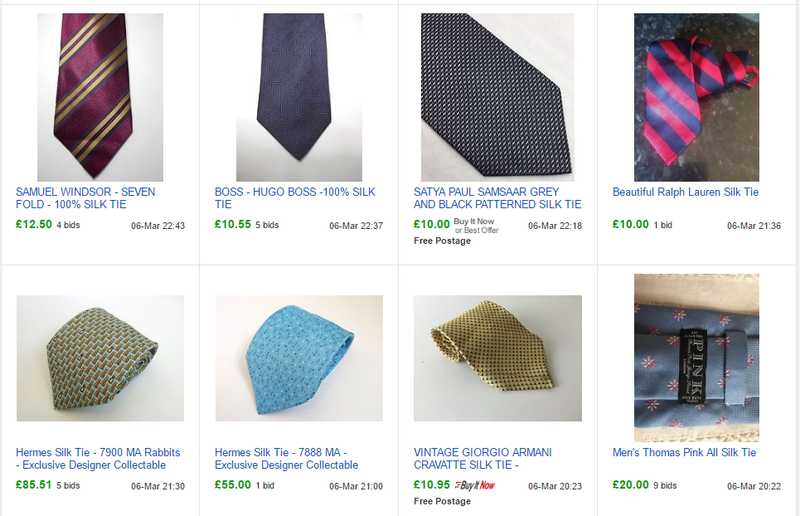 Here I lowered the bottom price to £10 – again these are SOLD ties only. You can see here that there is a nice market for ties. The best part is they are not going away. They will be a fashion accessory for a while yet…..! Note: As with most things you buy to resell condition is everything. Make sure there are no stains or rips in the material. Always go for 100% silk and as a rule of thumb the more vibrant looking the quicker it will sell. This is a very short list of some of the brands you should look out for. These are also “sensible” brands, meaning if you look in the tie racks, boxes or bins at your local charity shops then you WILL find them. Hermes are considered the holy grail among tie sellers – be warned though there are a ton of fakes out there. A Hermes tie buyer will know the difference and your account is at risk if you sell fakes. There are more expensive ties but they are very hard to find. The ones above are fairly common and still fetch a good price. They are also a great product to sell for the novice eBay seller. As proof that these brands sell here is a selection of my recent tie sales. 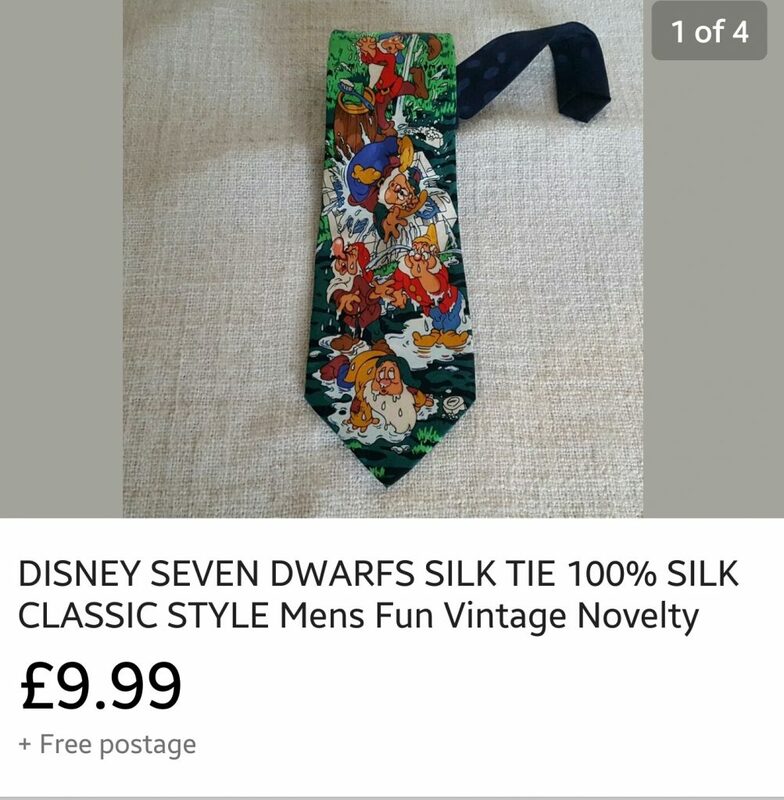 I paid no more than £1 for each tie. So, Where Can I Get Ties To Resell? Pop into your local charity shop and you will find a rack (or a box) of ties somewhere in the shop. Most charity shops I visit usually price their ties between 50p and £2. As I said earlier, most will be garbage but every now and then you will find a good seller. Snap up any you find that will sell. Use the list above for a start if you like! But once you have done it for a while you will soon get an eye for the good ones. If you come across a brand that you are unsure of but the tie looks great then look it up. I do this all the time and often find new brands when I am out sourcing. Other good areas to look are car boot sales, jumble sales and even eBay itself. 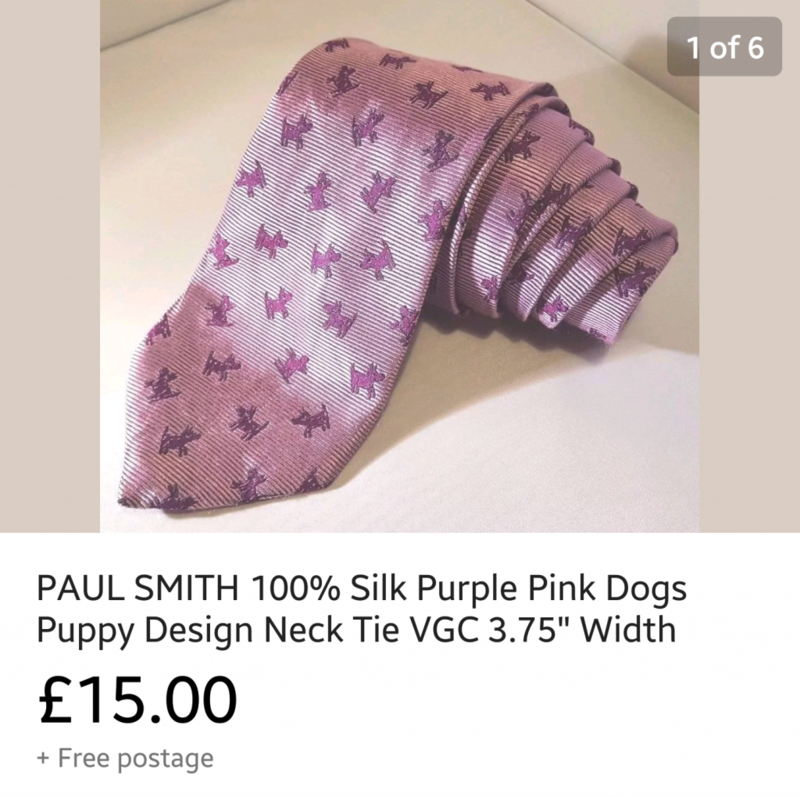 You can often find people selling bundles of ties for cheap or on auction. Ask for the brands if they have not identified them in the description. Also don’t be afraid to use the ‘Best Offer’ feature and go low if its there! I have won several lots of ties with very low offers. Then split them down and sell them individually. 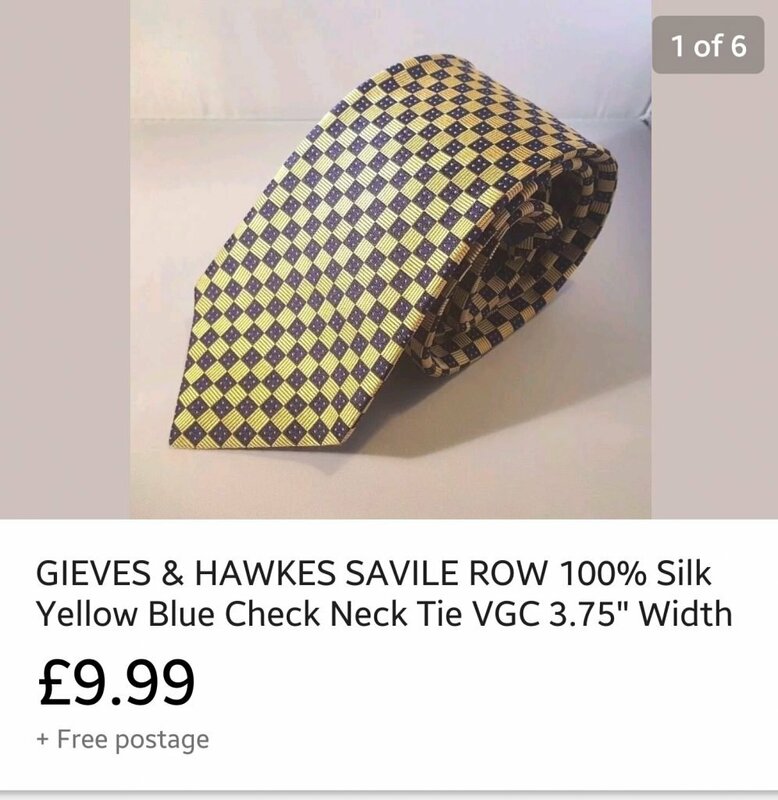 How Do I Sell Ties On eBay? I am assuming you know the basics of eBay selling so I wont go into that. Ties are no different really. The basics are always the same with selling anything on eBay. You can see from the images of my sold ties above that I try to include as much information as I can in the title. I do this with all my tie listings as a minimum. Next up is the photos. I take all my pictures using my phone. The cameras on phones now are perfectly fine for eBay pictures. But I also use a lightbox and a lamp to get the shots just right. These are not expensive. You can pick them up from eBay or Amazon. Here is a link to a similar model to the one I am using on Amazon now. It comes with 2 lamps, a lightbox and some different coloured back drops. This simple setup make the ties stand out and gives you the edge when pitched up against the amateur sellers who take no pride in their pictures. 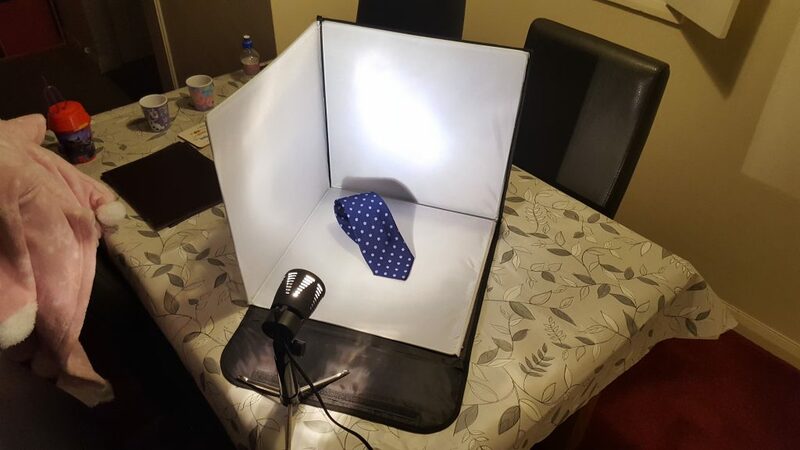 Mine are by no means the best but for £30 my setup works and I can get good enough pictures that show off the tie. Take as many pictures as you can. Try to take pictures of any designer markings, the name and also if you can take a picture of the “100% Silk” label. I tend to do one with the tie coiled up, another of a close up of the pattern. The rest is up to you really. Look at good competitors for more examples. Remember: Do not reinvent the wheel here, this is not tricky stuff. You don’t really have to include too much more in the main description. I tend to start with the brand again, the size and design and finally a small piece on my guarantees. Then save this as a template and list all your future ties using this template. This way you only have to change a few details here and there. How Do I Ship The Ties? A simple poly mailer will do the job. If like me you are planning on selling several ties a month then get yourself a batch of 9″ x 7″ poly mailers from eBay. 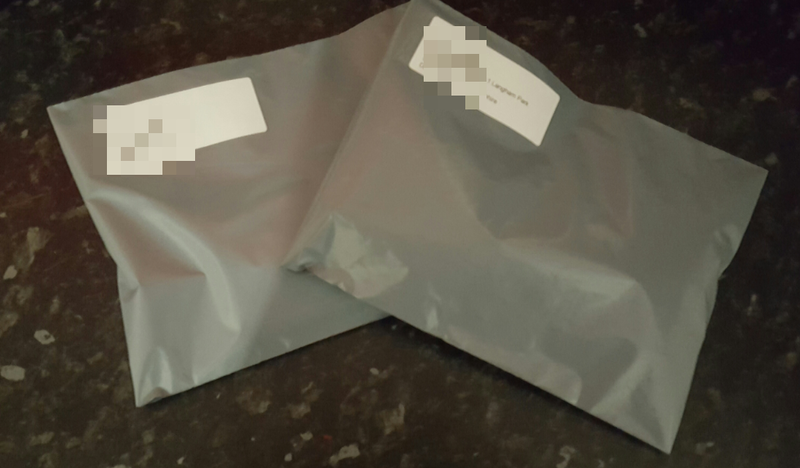 A neatly folded tie fits nicely into one of these and will ship as a large letter costing you just 75p to post 2nd class. For a full list of postal rates you can visit the Royal Mail site here. For all my ties in the £10 range this is all I do. 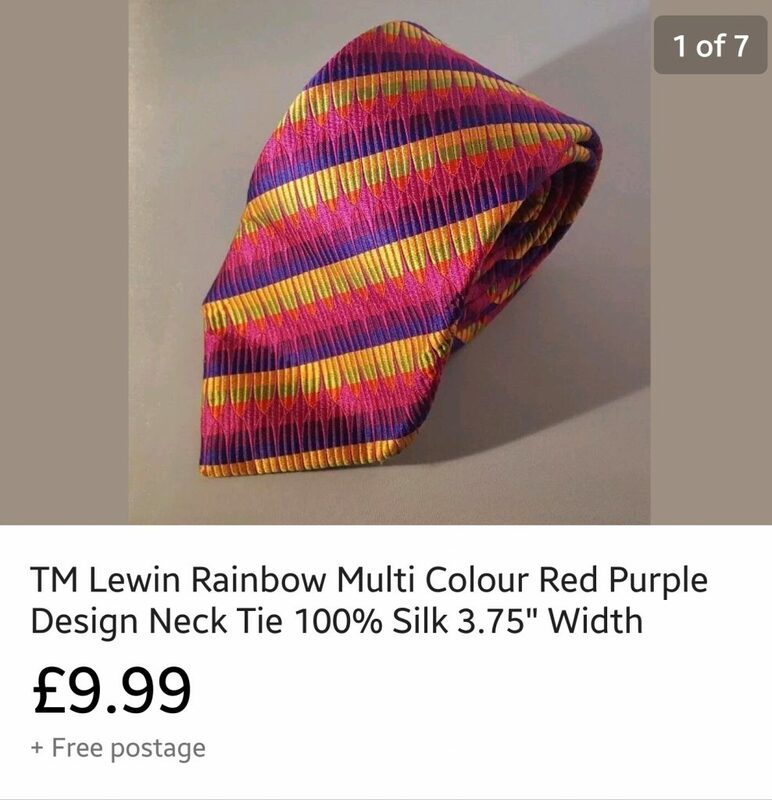 Bit of a gamble I know as people could claim an “item not received” but the way I look at it is I have only paid £1 for the tie so I am willing to take that chance. My customers have been happy so far. For the higher more expensive sellers I will do a signed recorded delivery. I hope this post has maybe given you another item to look out for when out and about. Whilst I do not only go out for ties I always look for them when I am out sourcing. A extra 5 minutes in a shop does no harm and maybe next time you can come out with some more profit! Providing you stick to the right ones you really cant go wrong with ties. Its all about quality brands, quality designs and as long as the price is right you will make a tidy profit. Once you get to grips selling them you can do like I do and that is bundle up a few here and there and once you have say 10 ties list them all at once. I can list about 10 ties in about an hour. As a guide price of a minimum of £10 (£9.99) they will sell for around £100. Scale it however you want to! Good luck. Let me know in the comments below if you sell ties? What is your best tie sale to date? 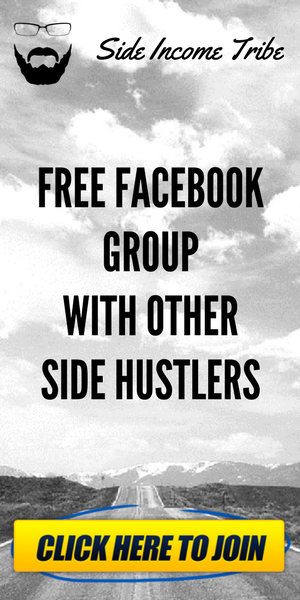 Hey Side Income Man, That was nice of you to share all that information! I always stop by the ties when I’m out because like you said, they take up little room and cost a dollar or two. I’ve sold a Louis Vuitton and a Hermes on the high end. I like belts and wallets for the same reasons and that’s how I came across your post– looking for names of the better brands and what types are selling. Thanks! Where are you from? I noticed the money signs. Hi – Thanks for dropping by. I am in Hampshire, UK. Well done on the Tie flips! 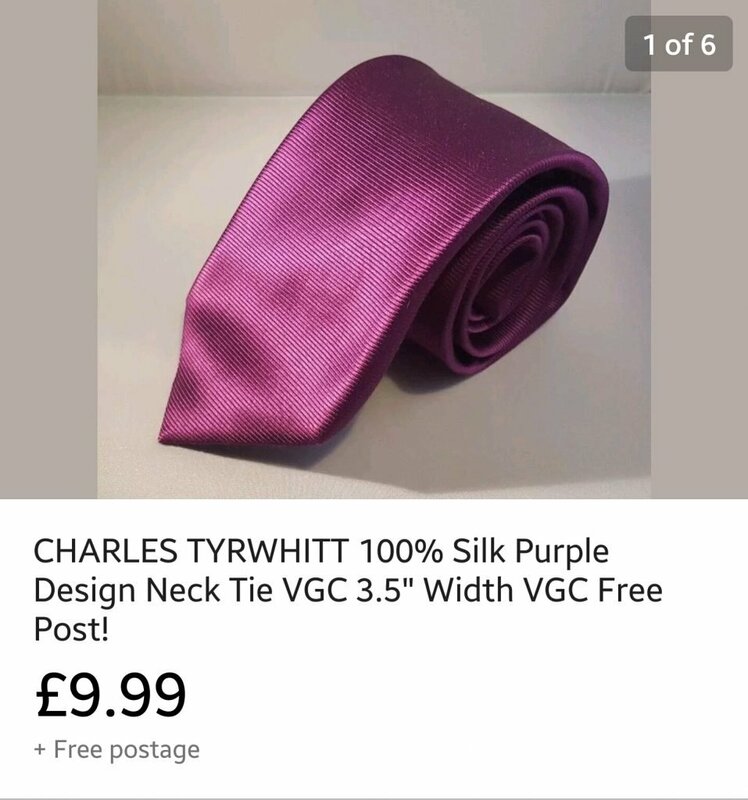 What a great post, ties is not something I would have ever looked out for in charity shops but I definately will now! Always worth a look! Easy to store too!